"Hey do you have Crack?" 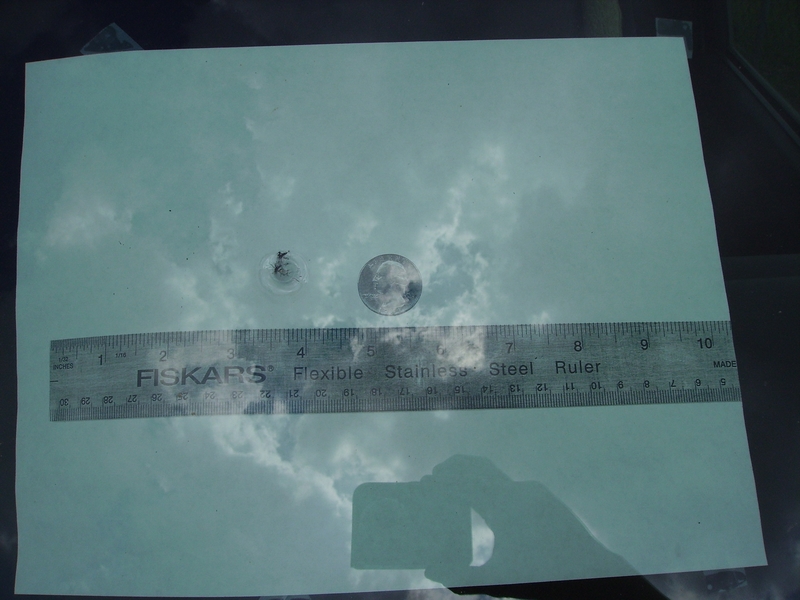 "UFO just hit my windshield.. that is what I'll say" read more..
Do you have a cracked windshield or worrying that your windshield may become cracked due to that rock that hit your front windshield? By being centrally located in Houston, TX near the Texas Medical Center and NRG Stadium where the Hee Haw- Houston Live Stock and Rodeo is held ever year. We are able to service clients from all around the Houston Metropolitan area that covers nearly 9,444 square miles. Wow that is a lot of miles. Was that repairable? Not all rock chip and long cracks can be repaired in your front windshield. Sometimes it's better to either leave them alone or replace the windshield if it interfers with the drivers field of vision. Quality: Our mission repair first and replace last. We don't guarantee or say we can repair your windshield in 15 minutes. As a Quality repair takes 30 minutes to an hour to complete. A drill hole would definitely increase the speed of the repair but the outcome may not look as well. Although, some rock chips must be drilled due to the type, impact, legs that won't fill in and location on the windshield. We drill only when necessary on rock chip repairs and always on long crack repair. We are Honest and Truthful ..
""Badges? We don't need no stinkin' photos badges!" We're helping save your data. Click on link below and see the picture. Click on link below to see the photo. What do you get for 25¢? "Y'all did an outstanding job on my windshield !!!!.. 18 wheeler or dumptruck (their often the culprits) , I purposely maneuver away from them...Hope you have a great weekend !
" Chris,..I have told at least 10 people about your expert repair of the windshield.."
"Windshield is holding up very well, I do not notice the area of the repair (like magic!).." "I wanted to go to a glass company that others trusted. I'm glad I read others reviews...It was worth the drive from Cypress, TX..."
"Excellent job on the rockchip repair you did for our car. We barely noticed it anymore. Thank you for your expertise and reliability...."
"Chris and Deborah were very friendly while I was waiting for the repair. 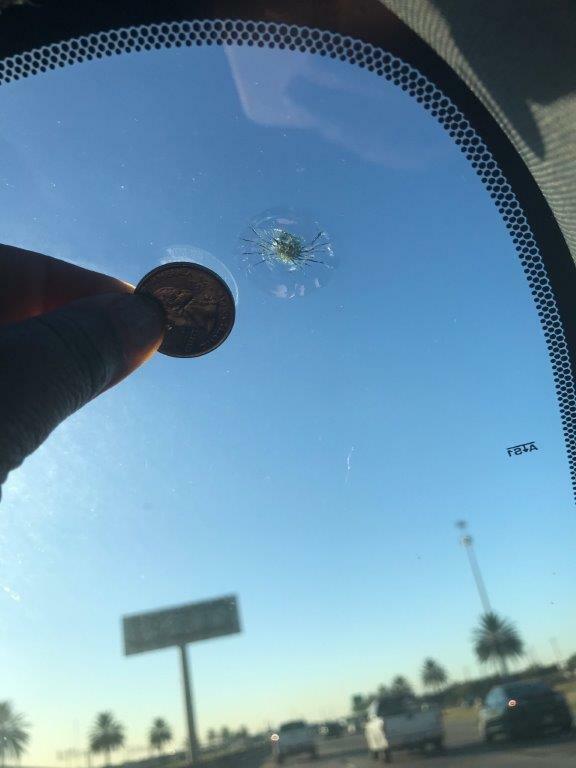 At the same time, Chris expertly fixed all the chips and cracks on the windshield...."
"Able Auto Glass has been repairing or replacing our windshields for 13 years. I found Chris back in 2000 when I still used the yellow pages. I was searching for a glass company to repair a nasty rock chip on my brand new Ford Expedition. I love the friendly family atmosphere. The quality of work is second to none. I highly recommend Able Auto Glass...."
Accepting major credit and debit cards, and most insurance companies *waive deductibles for windshield repairs. "UFO just hit my windshield.. that is what I'll say." Chris: “Some people put rain repellents in their windshield washer fluid reservoir. While it does a great job repelling rain, it also repels windshield repair resin.” Katie: “That's a good question, and I'll have to ask my father.” Chris: “Okay Katie, ask your father. Also, please take a few photos and text some images to 832-413-2253 so I can look at them. Make sure you hold a coin next to it for size comparison.” Katie: “ Chris, I will get right on that and let you know when I send the photos. Talk to you later and thanks for your time...” Chris: “It's my pleasure, and I look forward to seeing your photos. In the meantime, make sure you read over our site's Q & A". 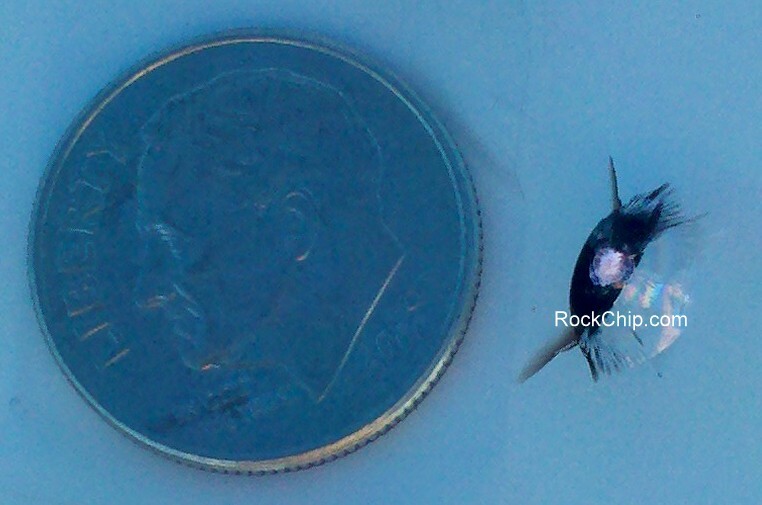 What does a rock chip look like? A rock chip is usually round or star shaped and may have lines radiating from the center. It has a black or silver color to it. Hint: If your rock chip looks like a white speck in the glass and has no dark areas, then this should not be repaired. It is only a nick. What caused my rock chip to appear? 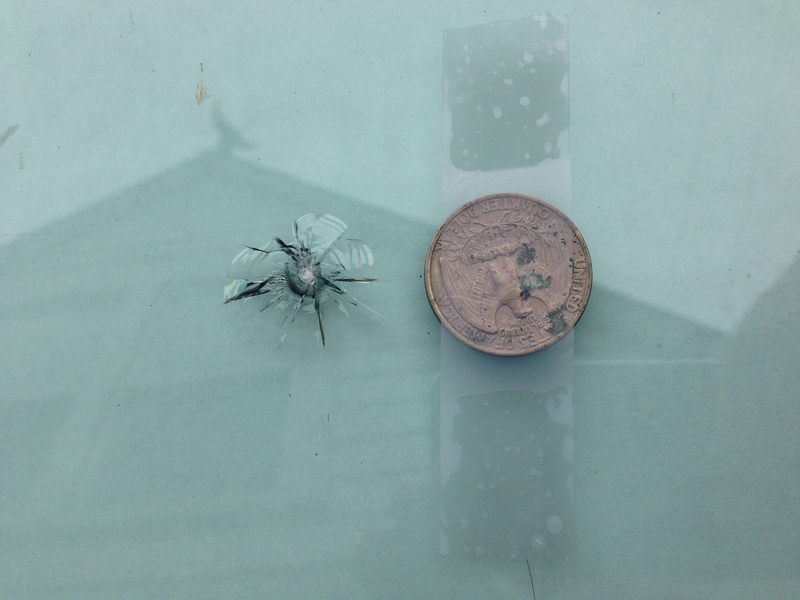 Normally a rock chip appears after a rock or other flying road debris hits your windshield. Should I have my rock chip repaired? In almost all cases you should have it repaired unless the rock chip is in the driver’s line of sight, is over one year old or it has already been repaired. After the rock chip appears, do not put anything on the windshield except water or window cleaner. You may be tempted to apply cleansers, rain repellents, soap, baby oil, foreign chemicals, glue, garlic juice, vinegar and finger nail polish, but these products will only make it more difficult to repair. We can repair rock chips from the size of a Pea up to the size of a Quarter and in some cases up to the size of a Silver Dollar. As long as the glass missing from the center of the rock chip is less than the end of pencil eraser, we can do the rock chip repair. Will my rock chip disappear when repaired? Your rock chip should become noticeably clearer when repaired. However, clarity is dependent upon the size, age, amount of glass missing from the center and the quantity of fragmented glass within the break. Note: chemicals applied to the rock chip may prevent the windshield repair resin from adhering to the glass. Will my rock chip ever form a crack? The possibility of your rock chip forming into a crack is greater now if not repaired. But if you repair the rock chip before it turns into a crack it will not spread under normal conditions. A rock chip could form a crack if there is a drastic change in temperature (ex. washing you car on a very hot day with cold water) or if internal or external stress occurs to the windshield. Can you repair when windshield is wet? In the months of May thru September the sun UV Rays are at it strongest here in Houston, TX. If your windshield has gotten wet please, allow your vehicle to set in direct sunlight for 3 hours prior to repair. The rest of the year may take several days to a week depending on the weather. Please note there is always a chance your chip can spread into a crack while drying in the sunlight. However, if there is any water in the break that’s not visible by the technician then the repair may appear more visible. In most cases the rock chip damaged area will turn milky white forever when water is in the break. How long does it take to repair? Typically it takes about 30 minutes but could take an hour depending on the individual rock chip being repaired. How much for a rock chip repair? If it is smaller than a Dime 10¢, it would cost $49.95 and Nickle 5¢ to Quarter 25¢ Size $54.95 anything larger that is repairable would should cost $59.95 For additional chips price may vary. See store for pricing. *For long crack repair see FAQ Cracks. What is your warranty on rock chip repair? Should a crack spread further than the original end points, a refund shall be given upon inspection. This windshield is guaranteed against defective material or workmanship as long as the present owner continues to own this vehicle. We'll get back to you within during normal business hours. "Argonauts Windshield Repair and Able Auto Glass"